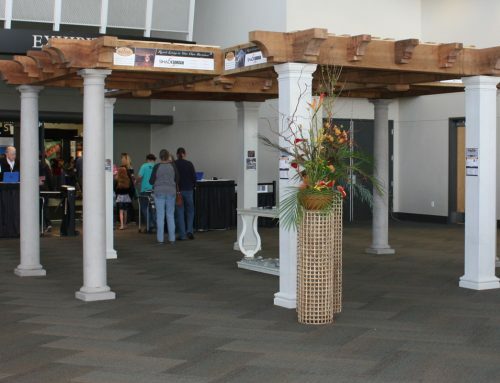 It is natural to want to put your best foot forward to make that favorable first impression. 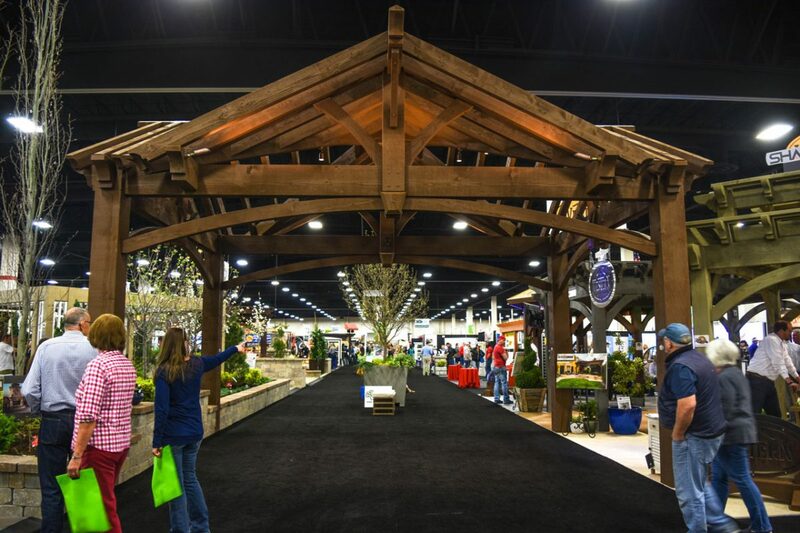 What goes on before that first audience can be just as spectacularly impressive as the presentation itself. 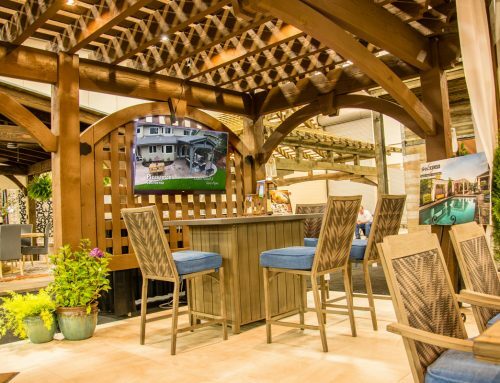 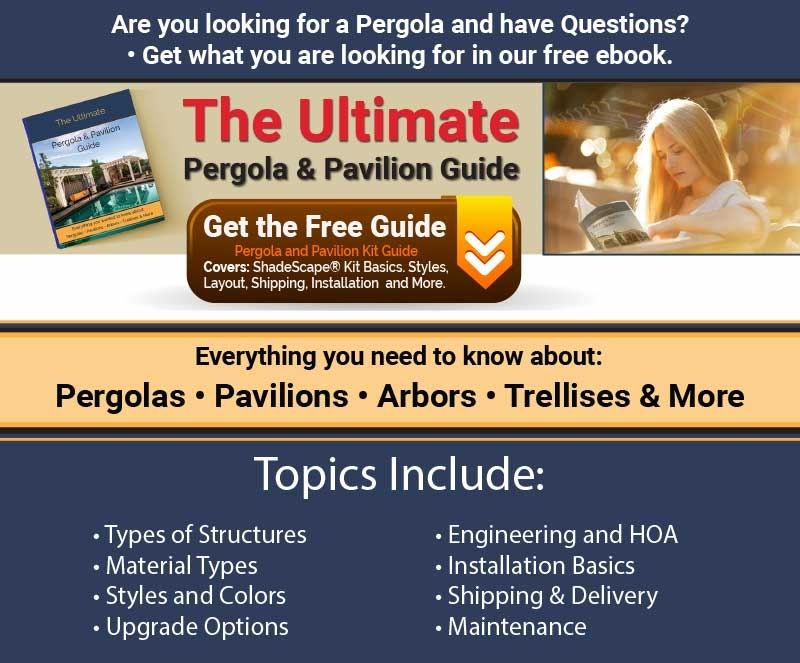 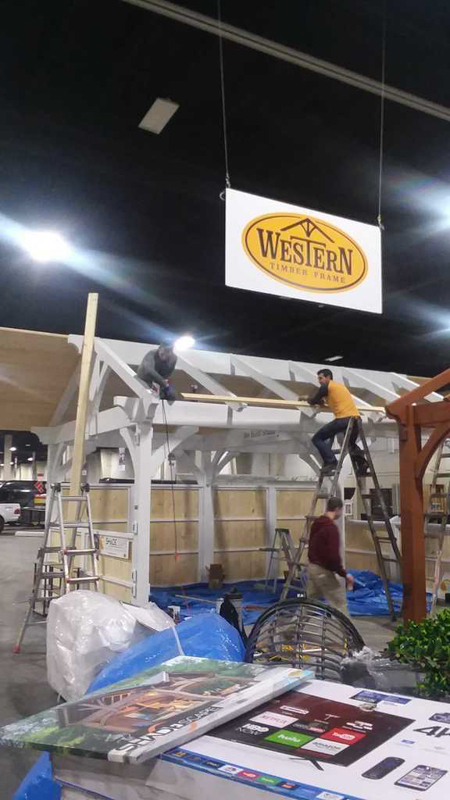 Enjoy a behind the scenes look into displaying massive timber frame shelters at Home and Garden shows. 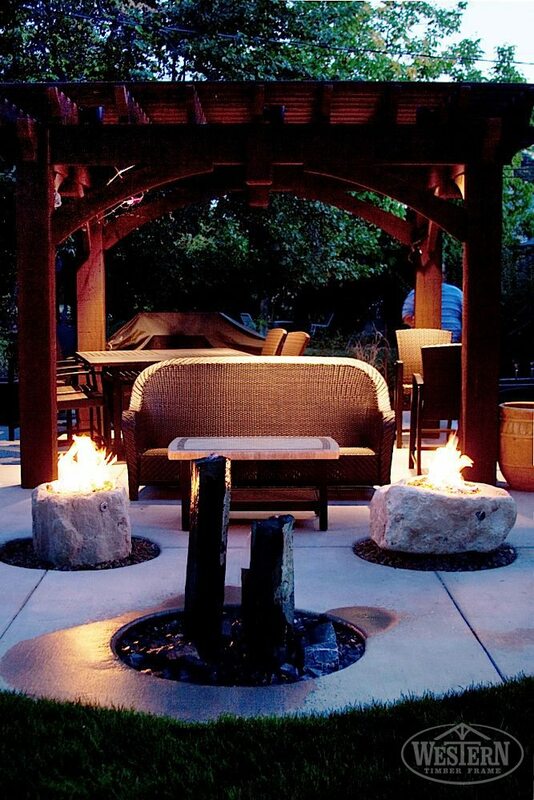 what it is that separates the men from the boys! 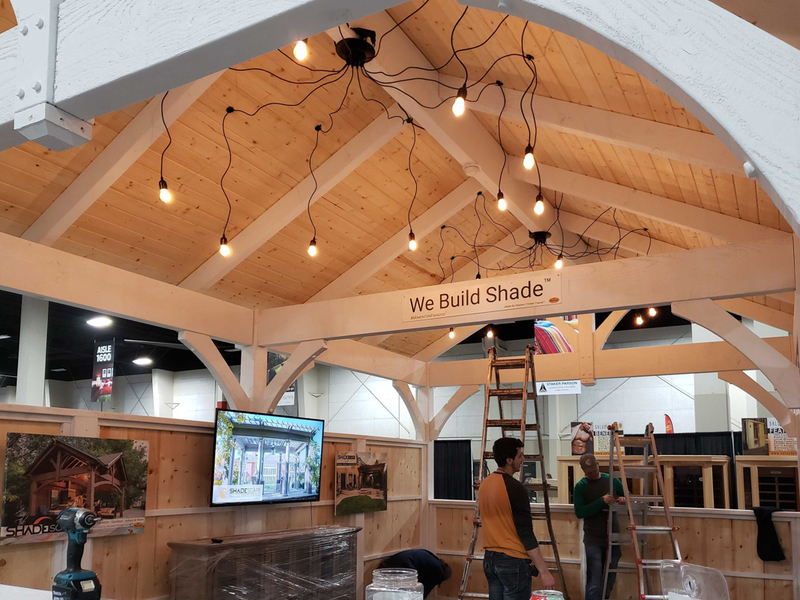 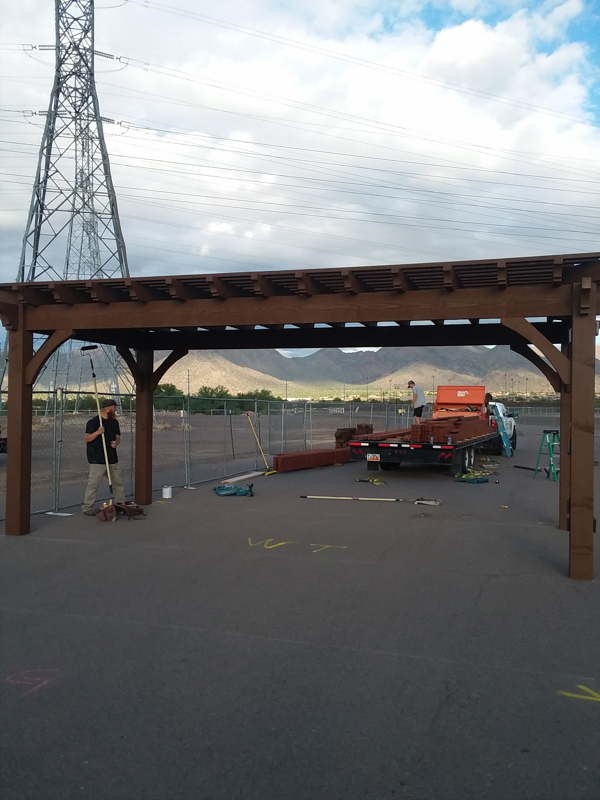 To even begin to appreciate what our guys do in the process of showcasing these ShadeScape® kits for Home and Graden Shows, we first have to weigh in on the size of these massive timber frame shelters. 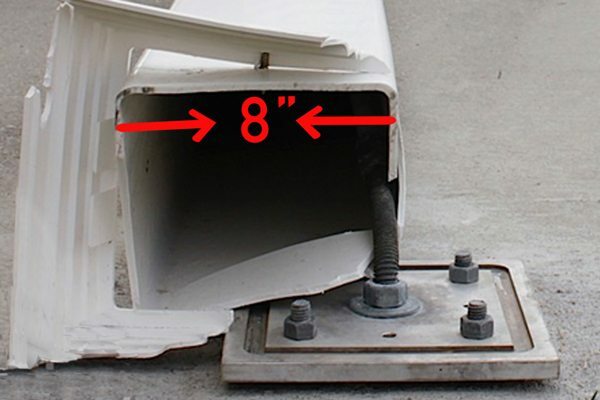 The median average cookie cutter kit from a big box store will probably weigh somewhere around 200lbs – 380lbs. 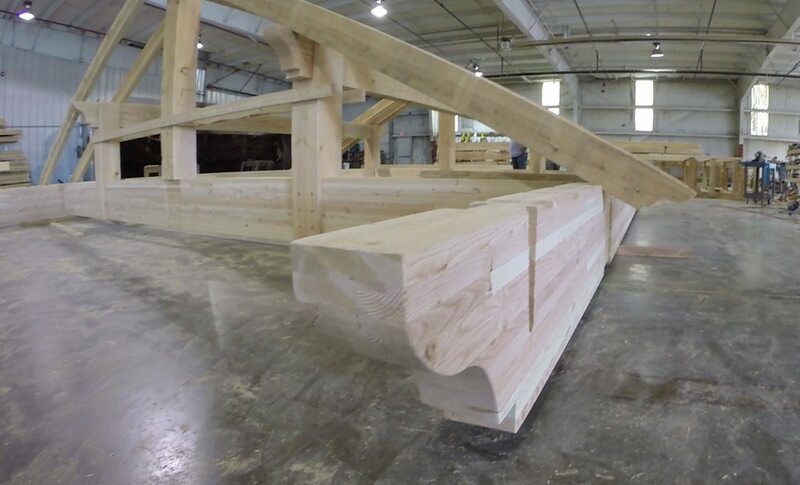 It will have spliced beams, and be limited in size, etc. 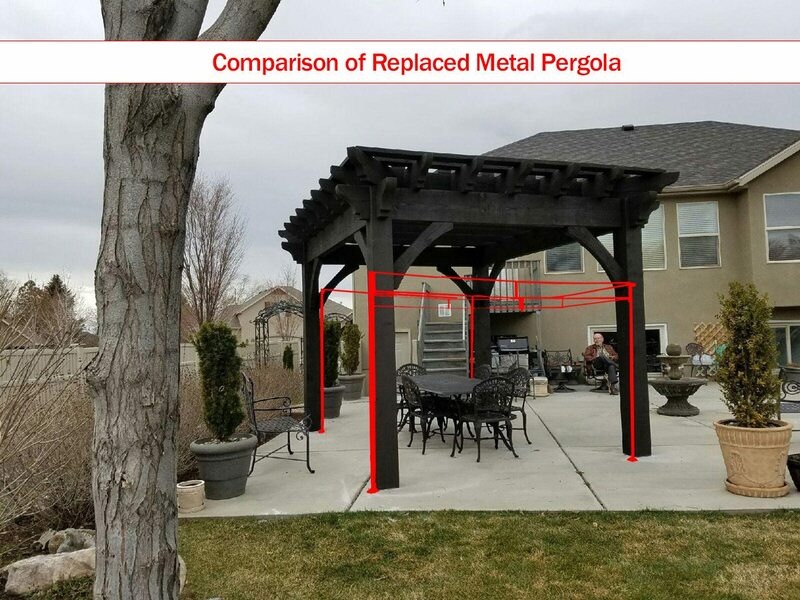 The red is a tracing of a metal pergola to show the comparison in size to the black ShadeScape® pergola kit that replaced it. 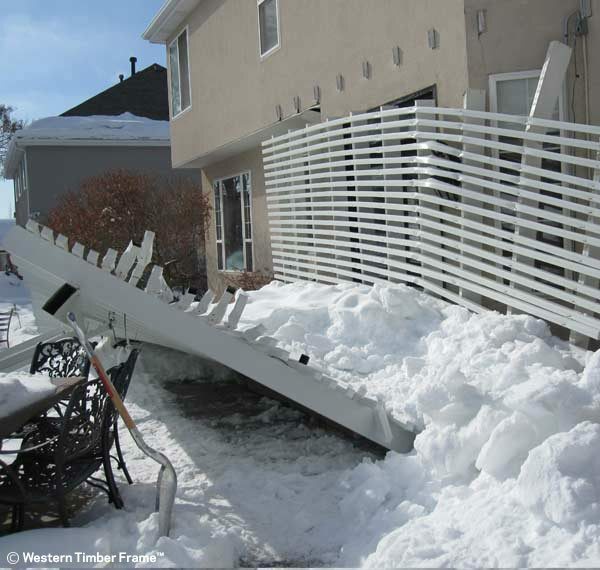 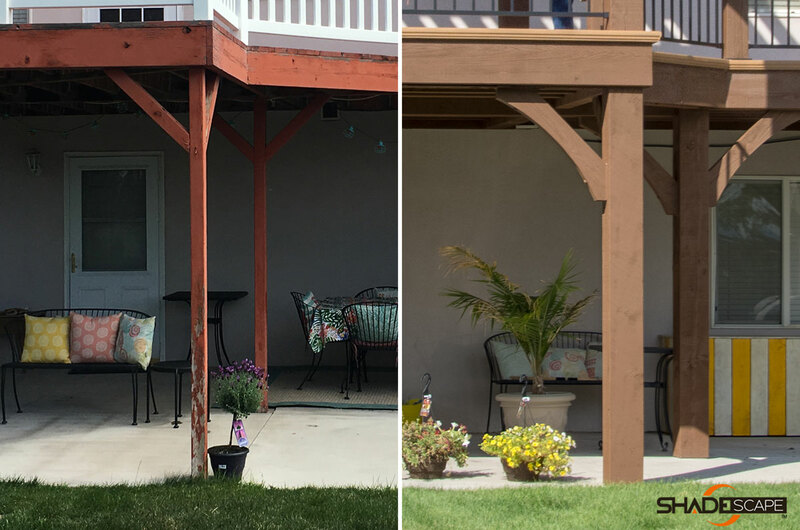 On the left side of this picture is a view of the post from the wooden deck that was replaced by a ShadeScape® deck. 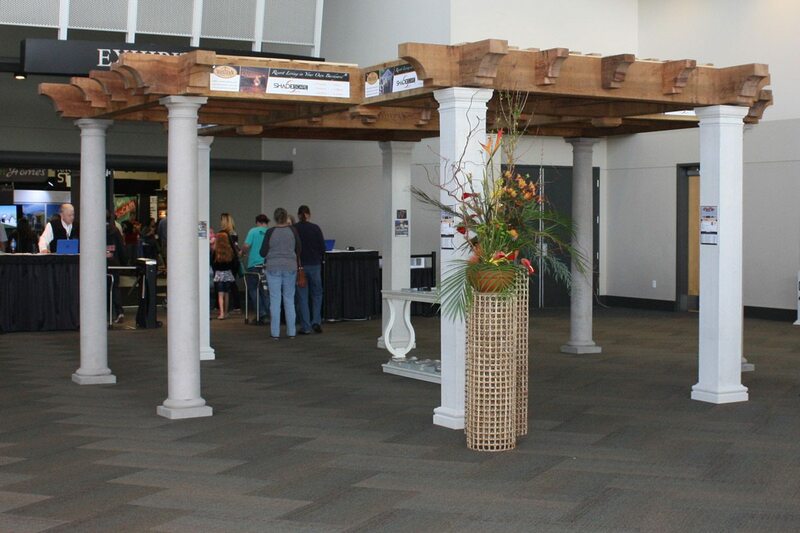 The ShadeScape® timber post pictured to the right in the photo is beefier. 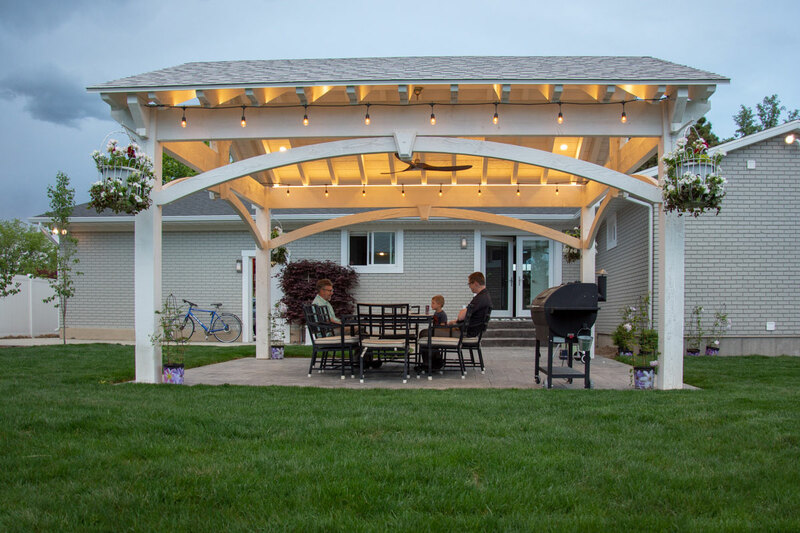 The quality of old-world craftsmanship and precision interlocking connections – without the use of nails or glue – is built to last. 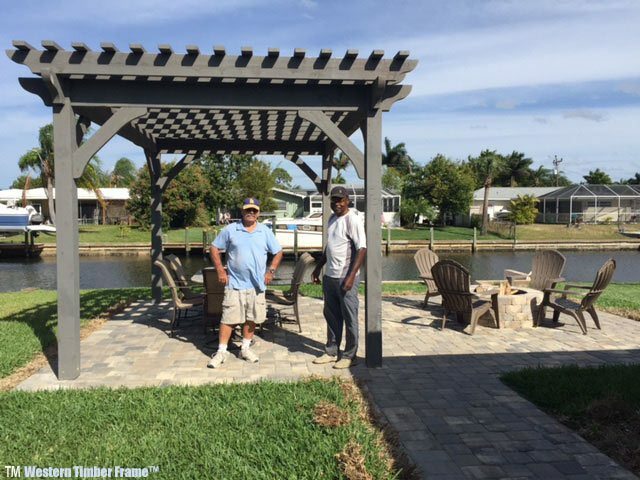 SIZE makes a HUGE difference. 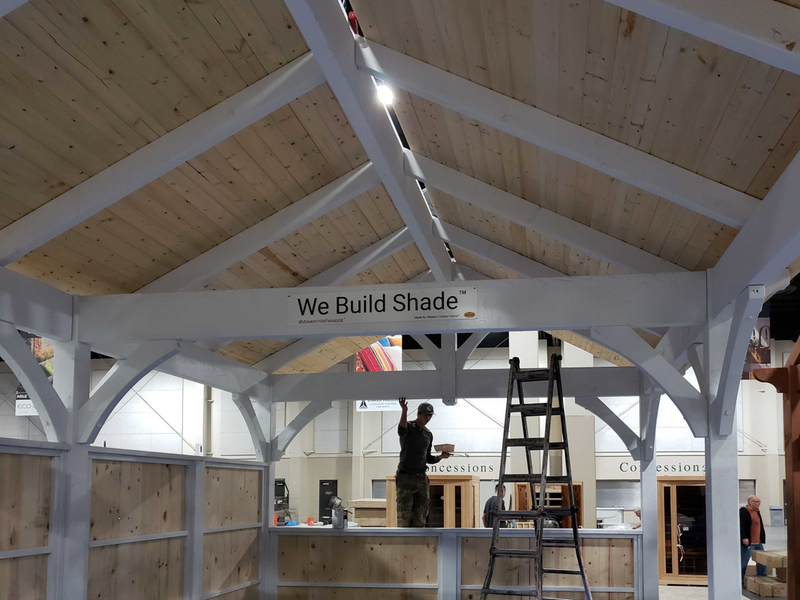 A Western Timber Frame® ShadeScape® timber frame kit weighs in at more than 10 to 30 times that (2,500 – 10,000 lbs. 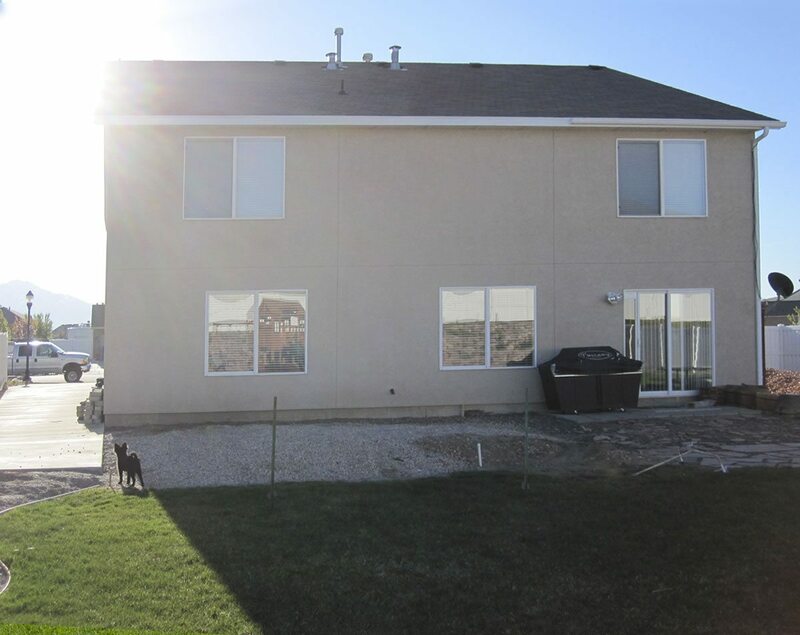 ), and are completely solid in their construction. 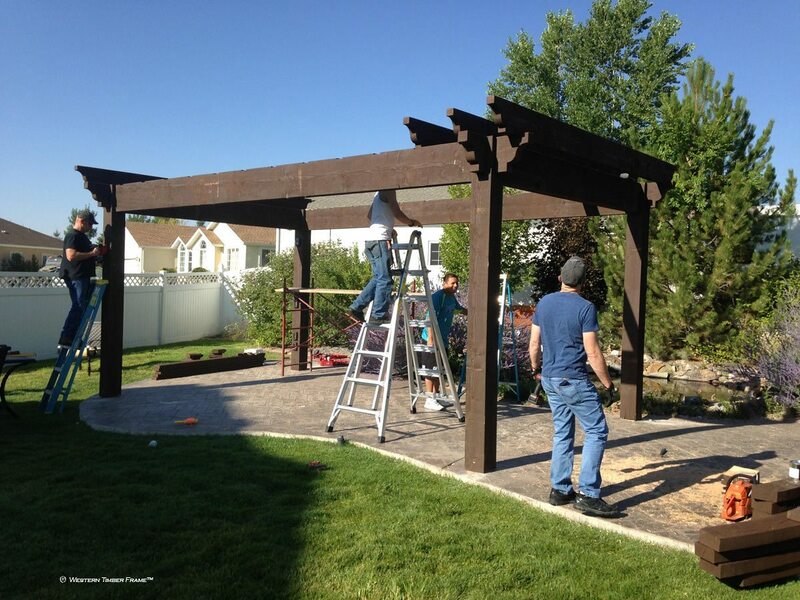 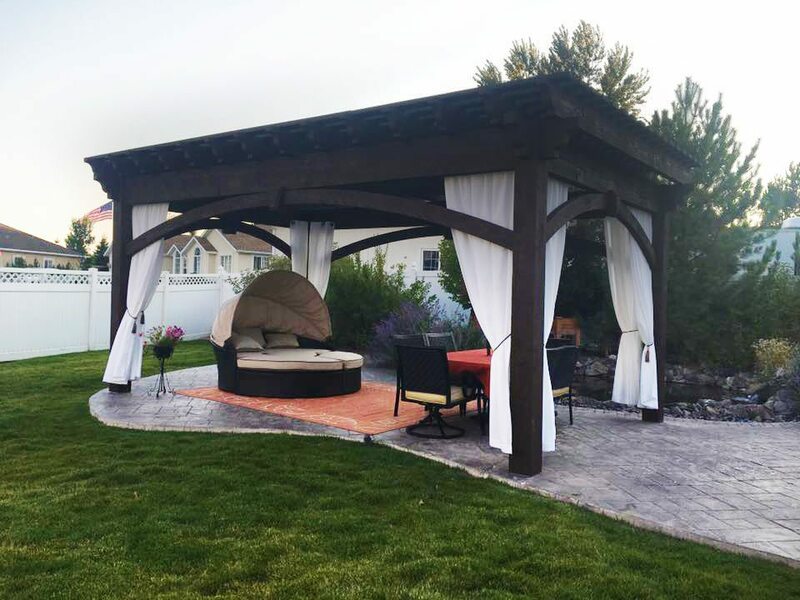 A 14′ x 22′ DIY ShadeScape® Pergola Kit installed by the Owens family of Nevada. 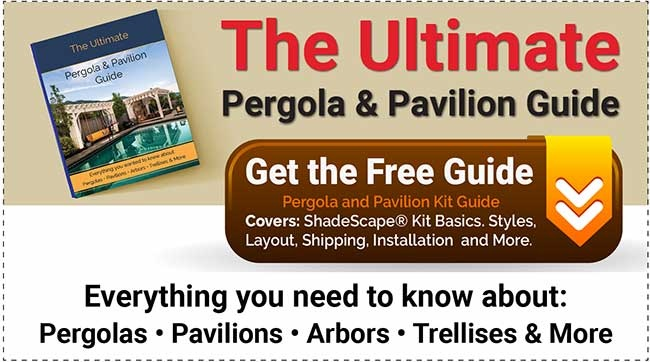 Despite their massive size, more often than not, they are actually easier and quicker to assemble than a kit that is 10-30X smaller in weight. 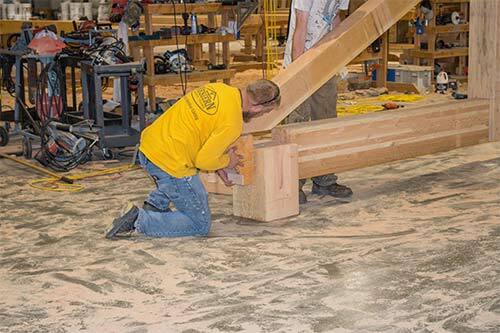 Everything is pre-cut, prefinished, and ready to assemble. 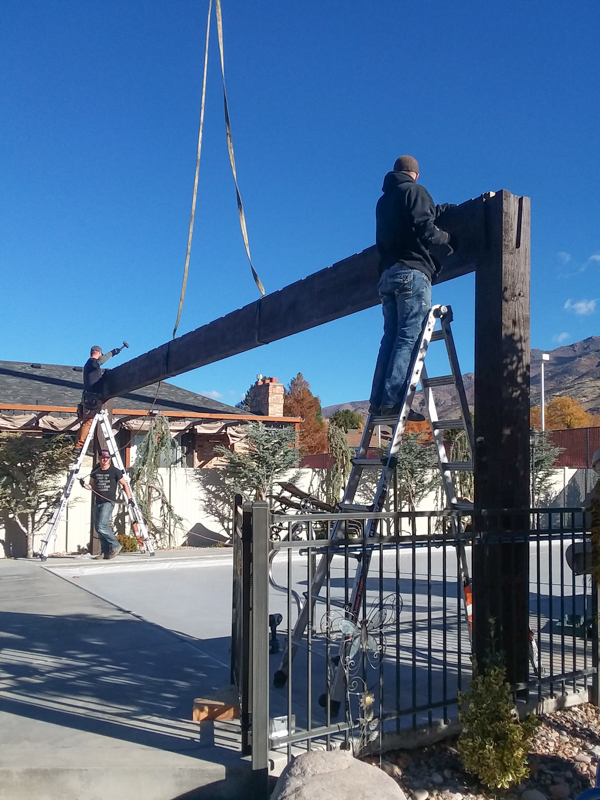 That said,…the main “downside” is the weight of the posts and beams. 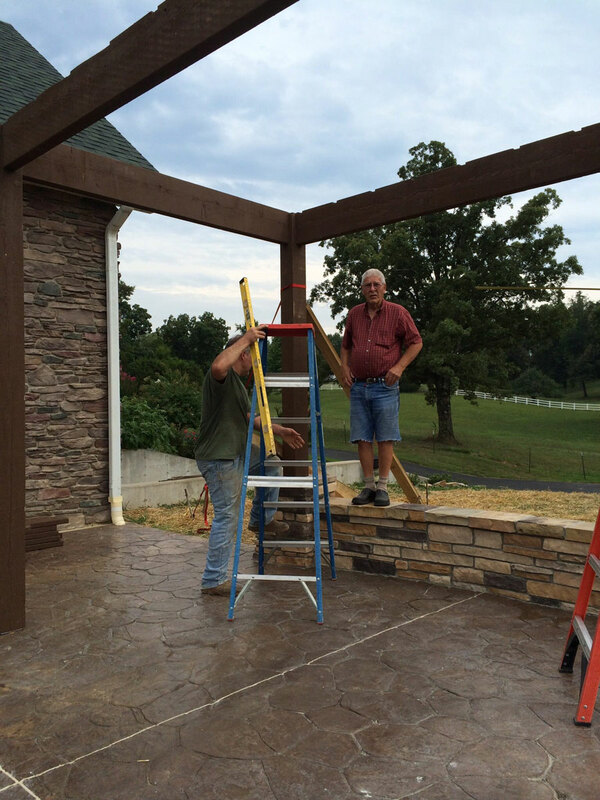 To install, you’ll need to invite over a friend or two to lift each end of the beams in place, but once the beams are set in place that weight locks everything into position with our patented dovetail joint system. 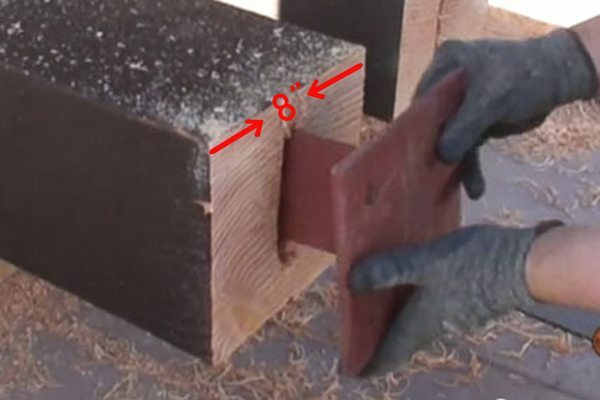 Because of the weight and size, when we ship out a kit, it goes out on the back of a semi-trailer, (unlike the Big Box Store and other kits) not 2-3 cardboard boxes, or on a small pallet. 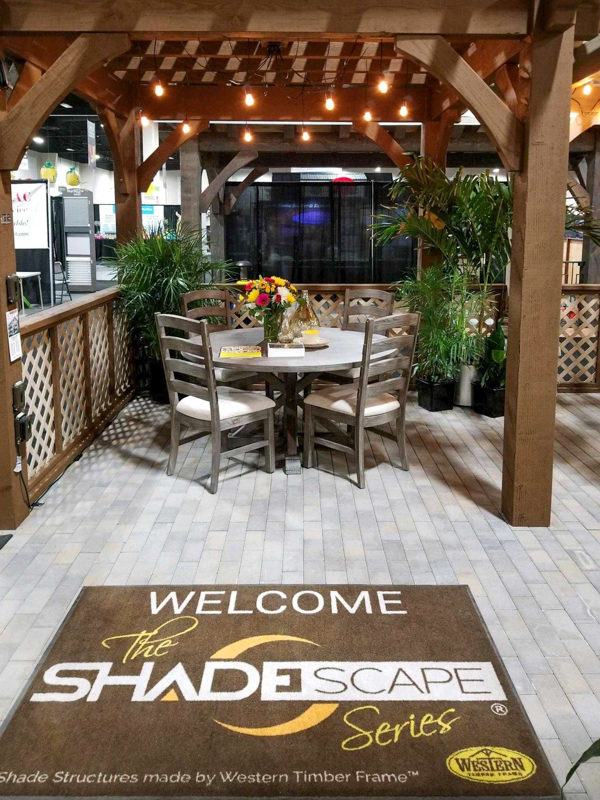 Here, for fun, are a few pictures proudly sent to us by a few of our awesome ShadeScape® families who – having never done so before – installed their own ShadeScape® kits with the help of other family members – or a friend or two. 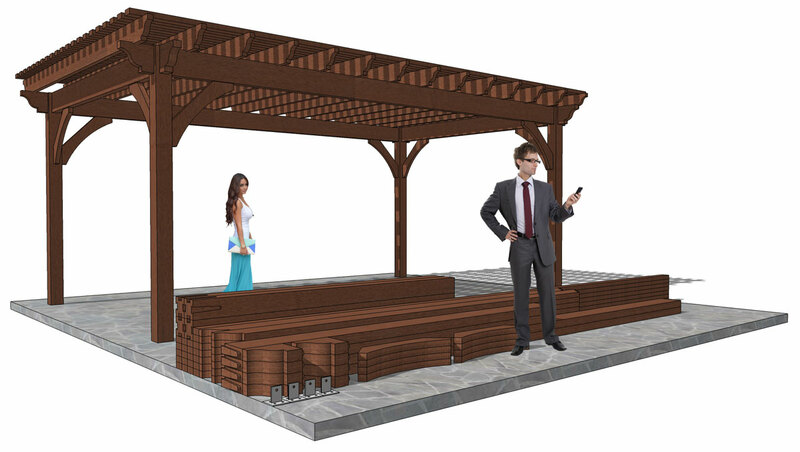 Similar to a child’s set of Lincoln Log toy, the pieces just interlock with each other. 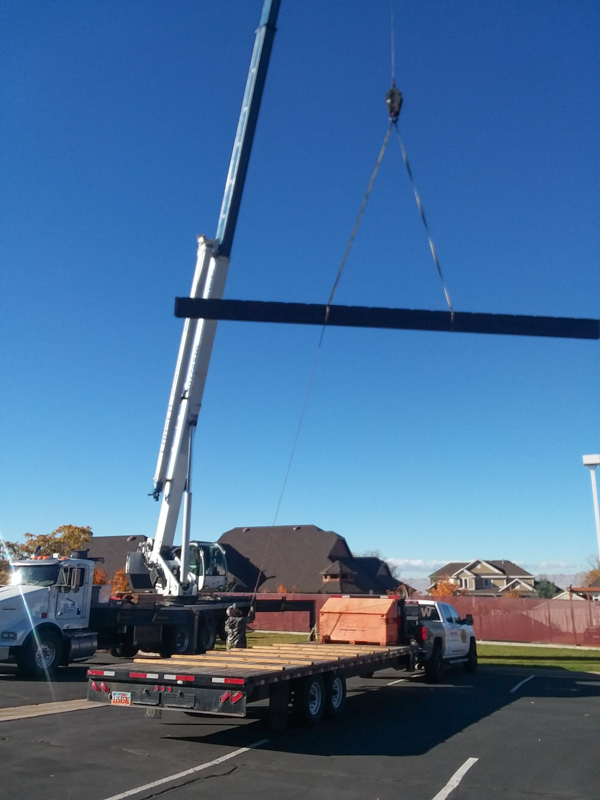 even a crane — is brought in. 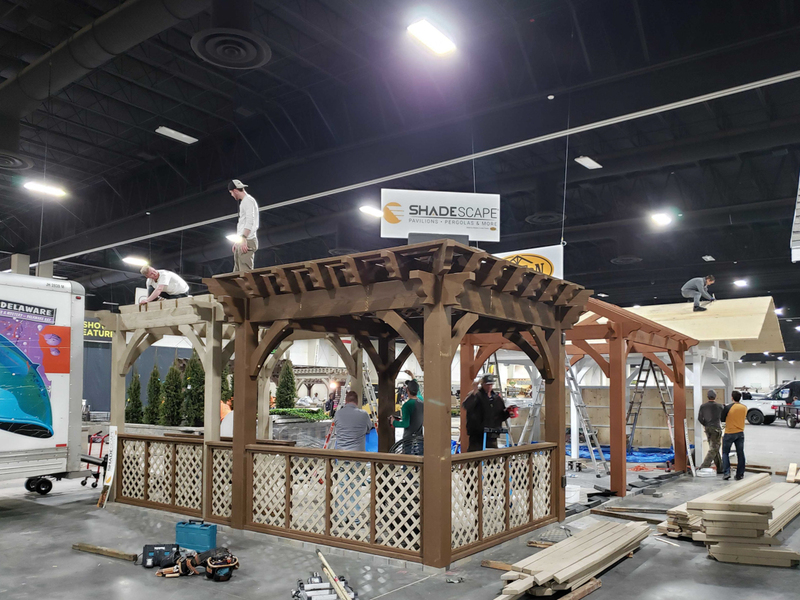 Doing several Home and Garden Shows a Year, our men put up and take down several of these massive timbers for ShadeScape® Kits again, and again. 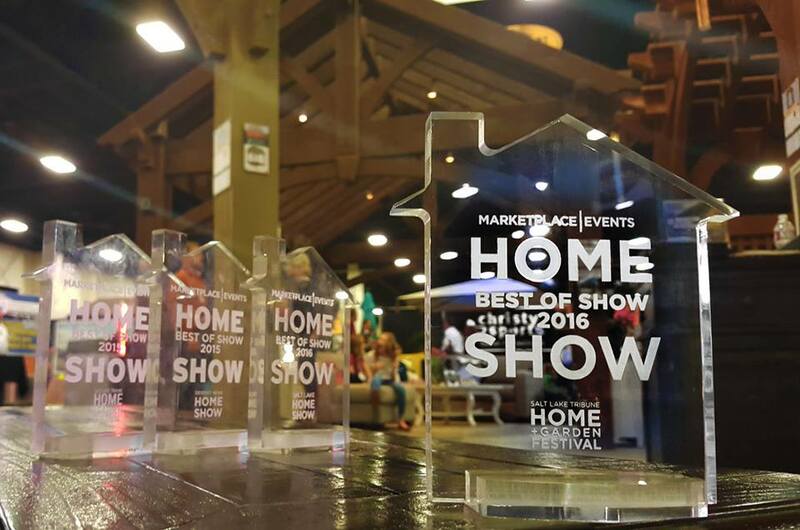 To add to all the brawn – they do it with class – taking home the Best of Show award, show-after-show. 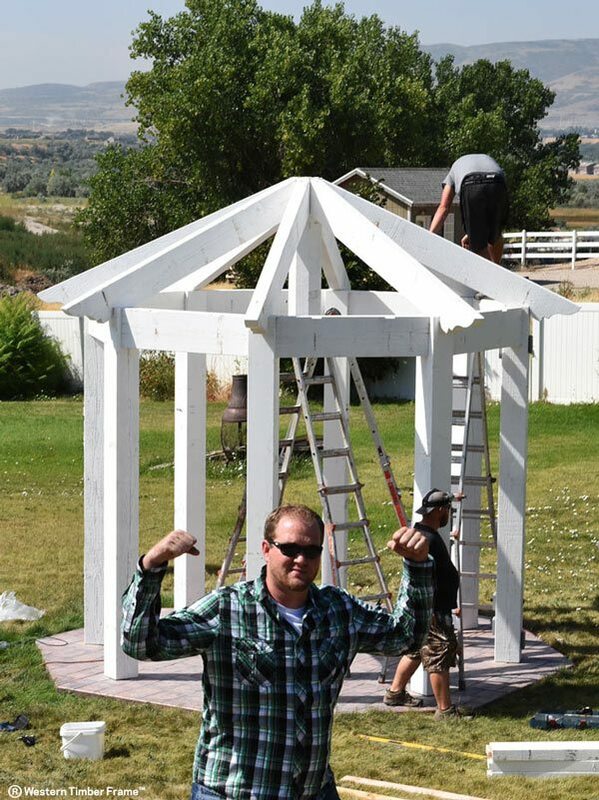 Being a REAL MAN is more than physical. 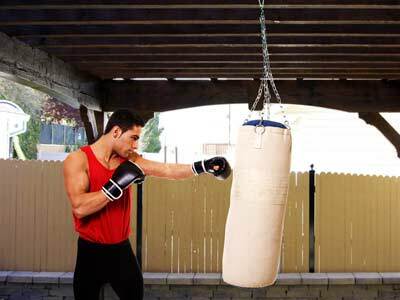 REAL MEN are more than muscularity. 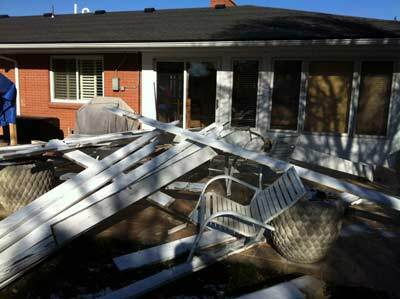 They can’t just go through the motions, leaning on past experience. 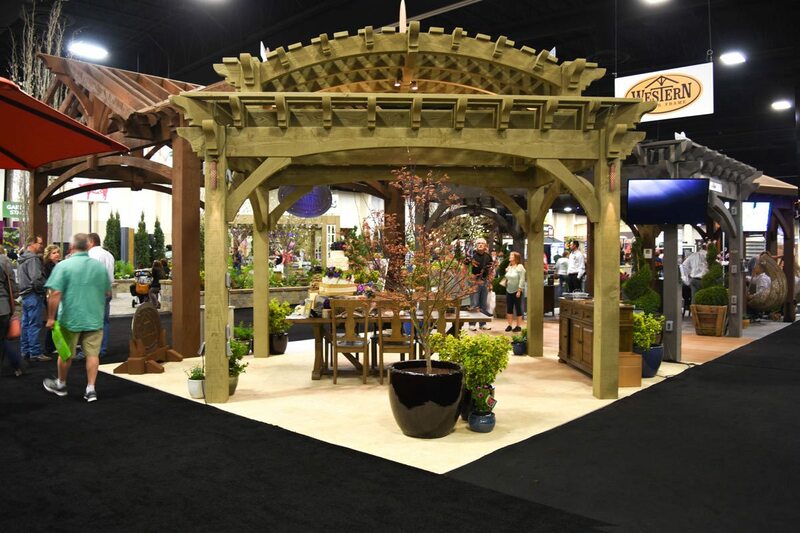 Every show includes new innovative designs and products. 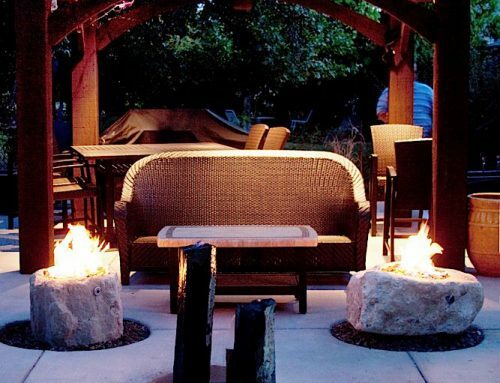 They are not only REAL, but they also embody the DISCIPLINED qualities of TRUE MEN – working as MEN with GOOD MINDS. 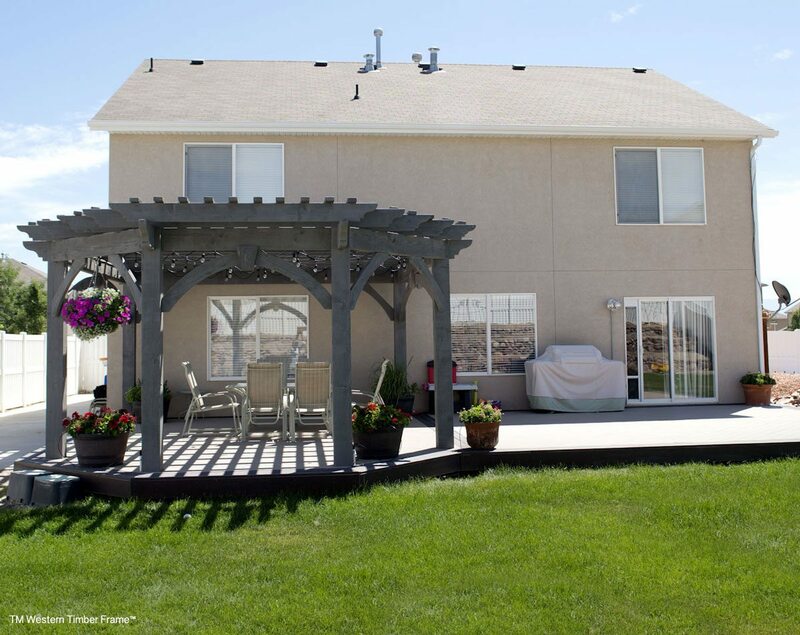 We appreciate all they do. 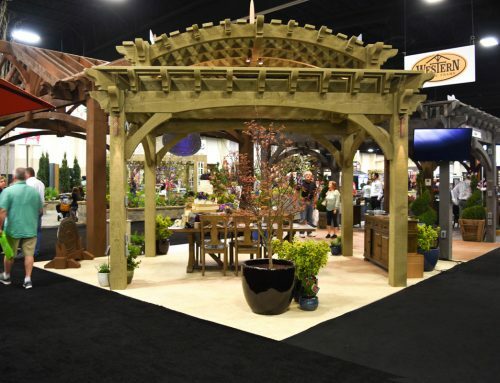 We are not the only ones grateful for their work, the families who attend the Home and Garden shows are, too. 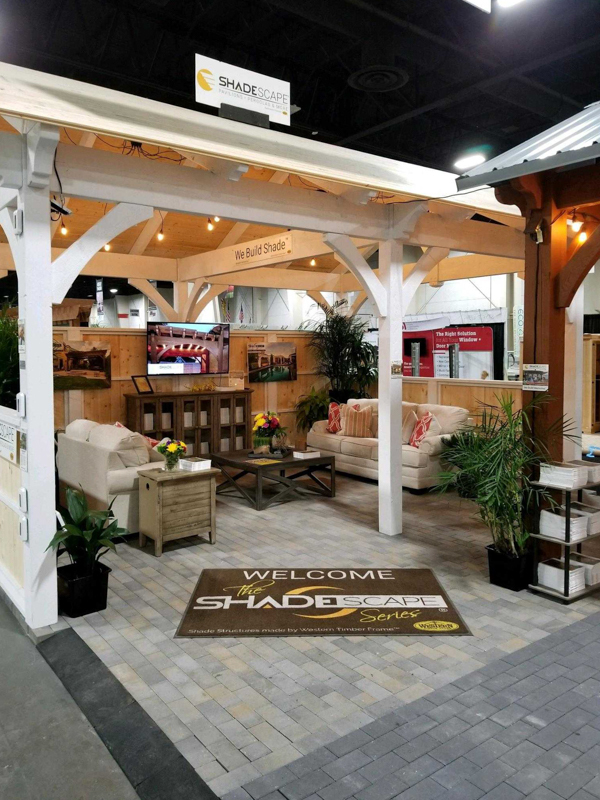 ShadeScape® kits were set over entryways in the outdoor displays provided much-needed shade for people needing a reprieve from the elements. 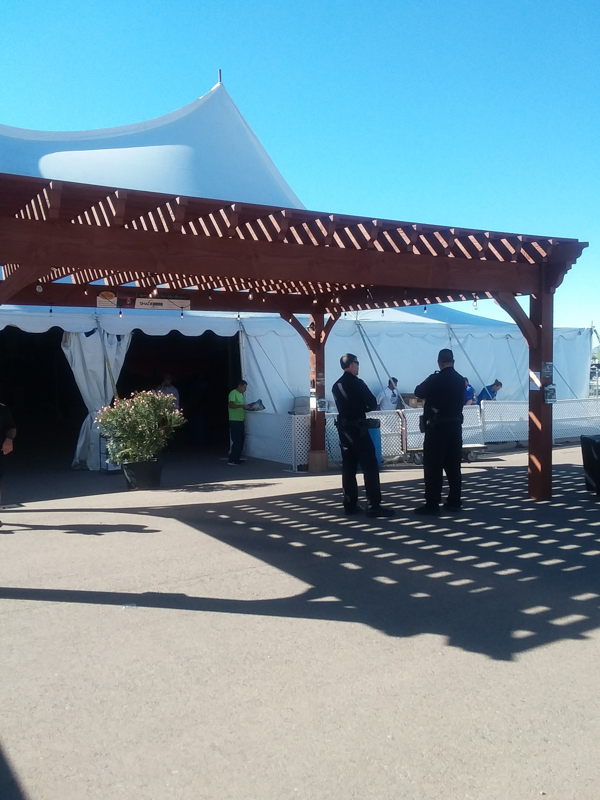 Arizona State Police Officers enjoy the ShadeScape® shade. 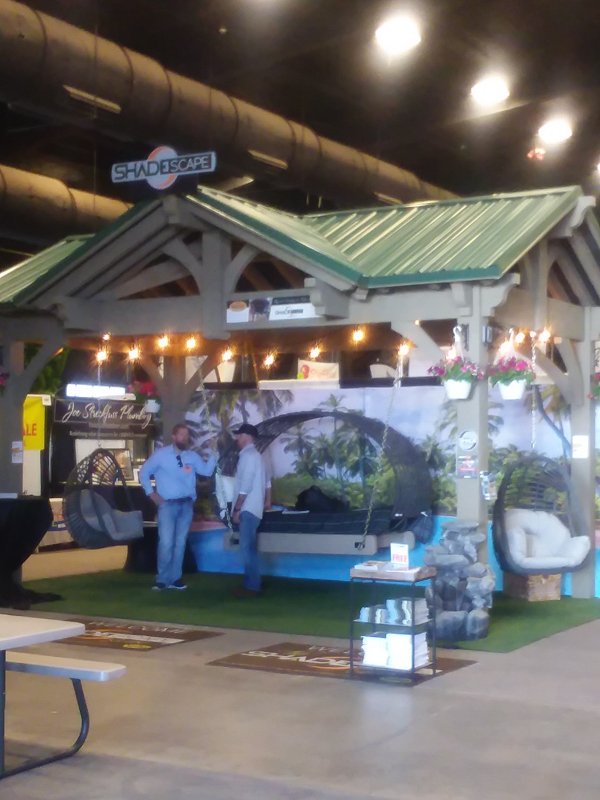 At this Home and Garden Show in Arizona, the average highs in this area in July ranges from 101.5 to 104 degrees Fahrenheit. 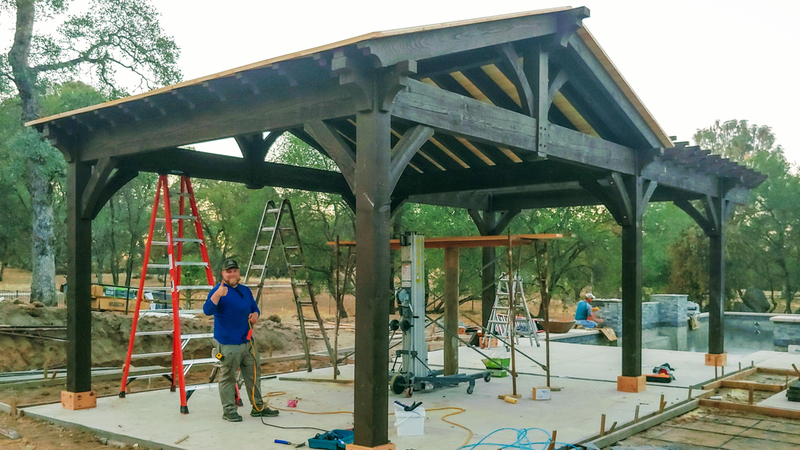 A natural timber frame DIY pergola kit is the perfect solution to bring relieving shade to comfortably swim on all those hot summer days. 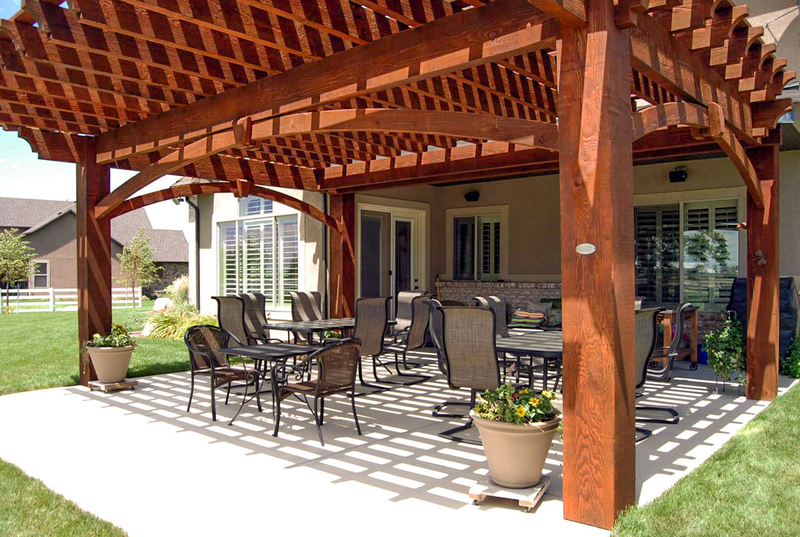 Shade from solid wood timbers is as comforting as a shade tree. 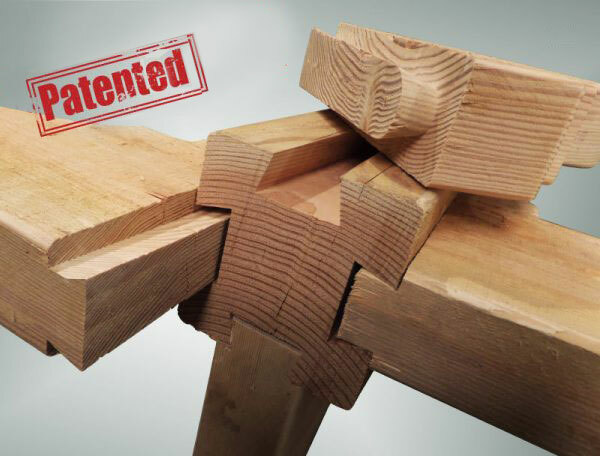 Timber naturally creates a condition for comfort and is the world’s best insulator being a poor conductor of heat. 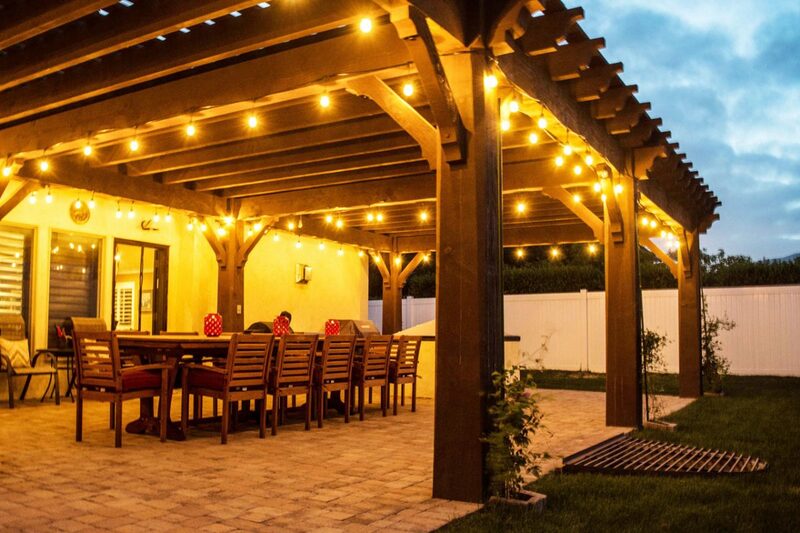 When the day is hot, timber will absorb the heat in the air and at night when the temperatures lower timber will let out the heat to keep a natural balance of temperature. 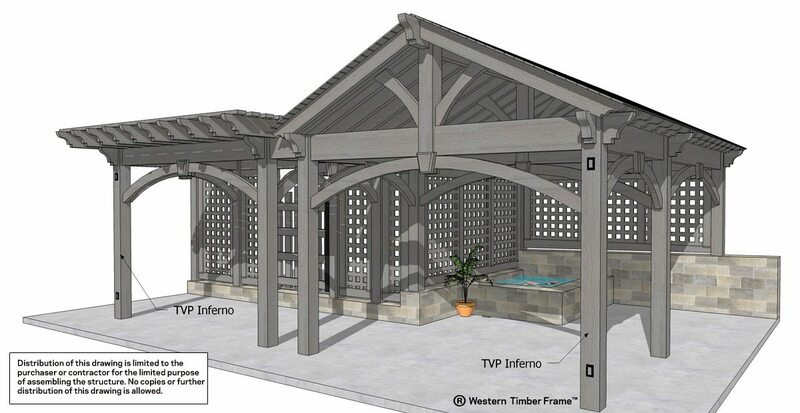 Timber can carry two temperatures at the same time on either side. 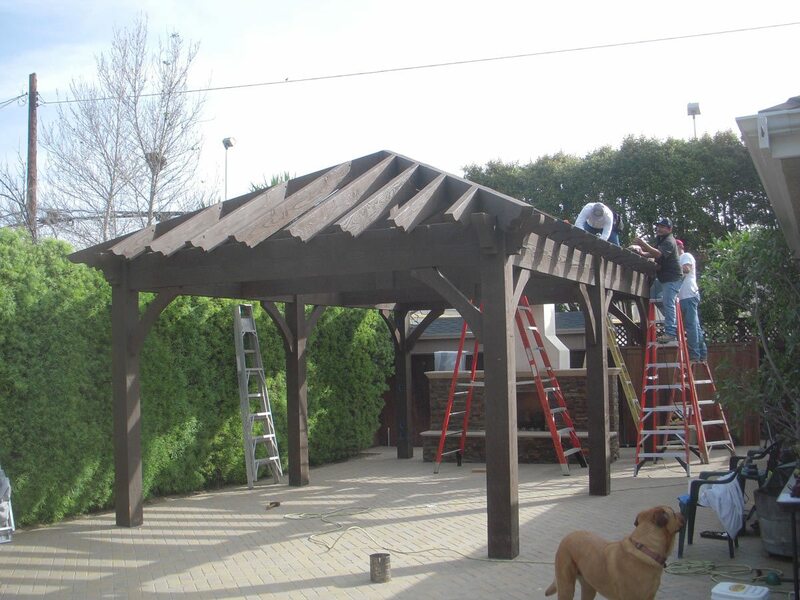 Timber is the best choice for comfort and timber frame is the best choice for quality in an outdoor shade structure. 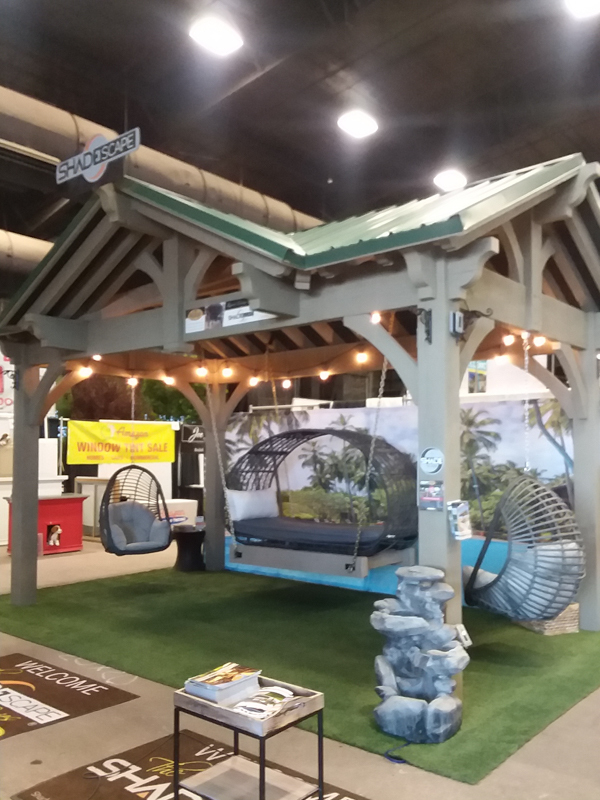 Awe Zen Dens w/Fish Starlight & More! 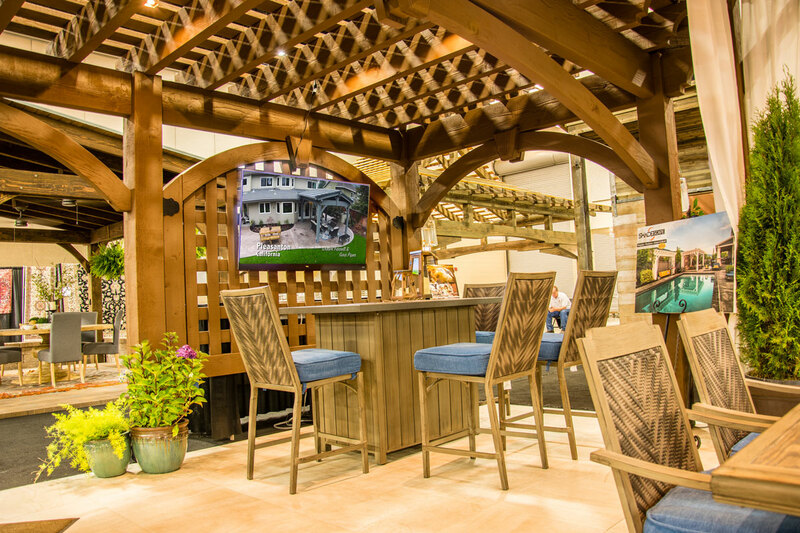 Spring Home & Garden Best of Show 2017!